Relax by the beach at Marabu in Aegiali. 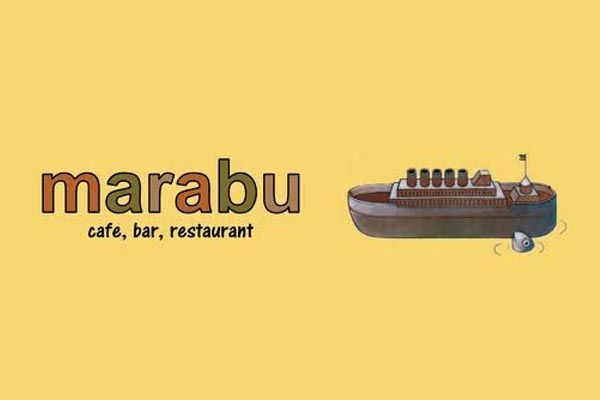 At Marabu you will find everything you need to enjoy a whole day by the beach in comfort and cuisine to suite all tastes. Our professionally designed modern kitchen can cater for everything from just toasts for breakfast through to full dinners or even wedding receptions and parties. Tables right on the front allow you to enjoy the view of the beach and clear blue sea. Shaded by the tamarisk trees you can relax after a swim or supervise your children building sand castles on the beach. 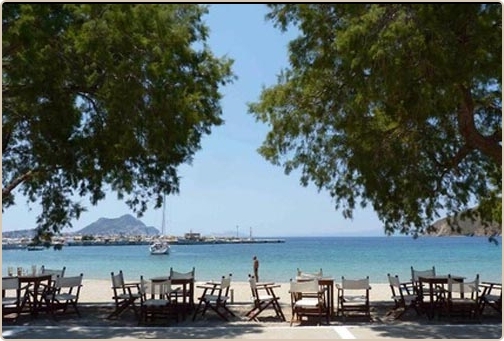 On the main outside terrace you can sit in comfort with the beautiful view across the bay to the island of Nikouria. For the really laid-back there are cushions to lounge on and hammocks. For the not so laid-back there is a pool table. For those who can’t leave their work behind there is free WIFI if you have your own access device. Also there are computer terminals available to get onto the internet for a small charge.